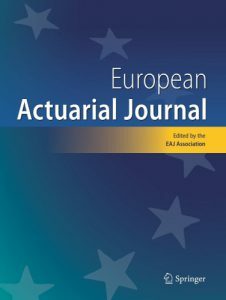 EAJ is designed for the promotion and development of actuarial science and actuarial finance. It publishes research articles, survey articles as well as papers for the mutual transfer between research and application. EAJ is published by Springer Publishing House. You can access the journal via SpringerLink. If you are interested in subscribing the online version of EAJ you can find detailed information here. If you are a full member of one of the EAJ member associations you should have free access to all abstracts and articles of EAJ. Please contact your local association for further details.